On 5 April 2018, 13 alumni from the civil engineering class of 1958 and their wives got together to celebrate their 60th reunion. Peter Bosman and his wife travelled all the way from Denver in the USA to join the reunion, with others coming from Johannesburg, KZN, and the Eastern and Western Cape. The alumni were collected from Welgelegen on middle campus and brought up to the New Engineering Building, where they were welcomed by Professor Pilate Moyo, the HoD for the Department of Civil Engineering. The group spent the day engaging with civil engineering staff and students. The alumni spoke to the students about their experiences and where their civil engineering degree had taken them. They all agreed that the civil engineering degree was one of the best courses for future enterprise. Even in their eighties, many of the alumni were still involved in the industry. The students took the alumni on a tour of the civil engineering laboratories, where they interacted with staff and students around their research work in the areas of the polar ice, structural steel and pipe water leakages. After lunch, Doug Calverey from SMEC spoke to them about the controversial Foreshore Freeway-Western Boulevard link. This was followed by four alumni giving talks on topics which ranged from Shakespeare’s Ghost Writer to Ageing Health Hazards, Crypto Currencies and Interesting Travel Destinations. Their visit to UCT ended at 16h30. 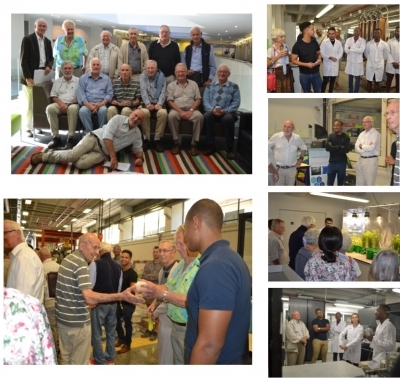 That evening they met up for dinner at Kelvin Grove, and on Friday, after a visit up Table Mountain, Brian Watkyns, the City Council member for Pinelands, took them on a tour of one of the desalination plants in the V & A Waterfront. On Saturday they had a farewell braai at Louis De Waal’s house before they all went their separate ways. The reunion was held in memory of Ron Strybis, who was instrumental in getting together the 50th reunion in 2008 and had done most of the arrangements for the 60th before he suddenly passed away on 27 February 2018. Five civil engineering graduates from the class of 1967 got together on Friday 17 November to celebrate their 50th reunion. The day started with a lunch at Rhodes Memorial with Professor Neil Armitage and then an interactive afternoon in the Department of Civil Engineering where various students and staff spoke to them about their research work. The Dean started off with a brief overview of the Faculty, followed by Neil, who gave an update on the civil engineering department. John Okedi, one of Neil’s PhD students, gave a presentation on the work he is doing on stormwater collection. Dyllon Randall, a senior lecturer in the department, spoke on urine being the new liquid gold and this was followed by a tour of the Geotechnical Lab and a talk by Dr Kalumba and a number of his postgraduate students. The reunion ended off with a dinner at the Wild Fig. On departing, the group decided they couldn't wait for their 60th reunion so would be back in five years’ time. 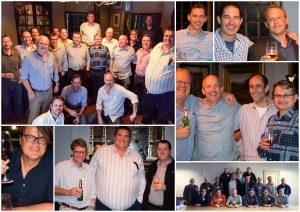 The Civil Engineering class of 1990 held their 25th reunion in Cape Town on Saturday the 30th April 2016. The reunion saw 21 former graduates travel from far and wide, some with families, to share a weekend of reconnecting, reminiscing and engaging with fellow classmates. The alumni were welcomed back to campus by the HoD of the Civil Department, Prof Neil Armitage, and the EBE Alumni Officer, Mandisa Ralane. Prof Armitage presented on the State of Civil Engineering at UCT, and took the alumni on a tour of the department to experience their old lecture rooms, as well as the new infrastructure developments. The reunion committee afforded the Black Young Gifted initiative, represented by Kelly Blair and Zane Bala, the opportunity to talk about their vision of encouraging and supporting back students to pursue postgraduate studies in Civil Engineering. Following the visit to campus, the classmates had lunch at Brass Bell to rekindle old friendships. 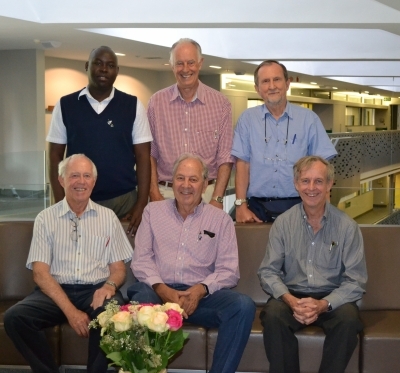 Thank you to Prof Mike de Kock and Prof John Lazarus for attending the reunion to reconnect with their former students, as well as to Mike Webster and Antony Boting for organising a successful reunion weekend. 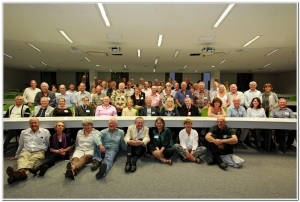 The civil engineering classes of 1972 to 1974 held a 40-year reunion in October 2014. The reunion was a resounding success, thanks to Mandisa Zitha and a dedicated reunion committee chaired by Terry Wallace (1974). Also on the committee were: Colin Hall (1973), Alastair Bishop (1973) and Peter Silbernagl (1972).The reunion weekend began on the Friday evening at the newly opened Snape Building. Professor Neil Armitage, HOD of the Department of Civil Engineering, gave an informative presentation that gave the alumni insight into the expansive progress in the academic field of civil engineering since the 70s. Professor Armitage took them on a tour to see some of their old lecture theatres, and the new labs in the New Engineering Building, before they gathered in the foyer for a cocktail event. Saturday night proved to be a memorable dinner for alumni and their partners at Kelvin Grove. The invited keynote speaker and former lecturer, Professor Sparks, exhibited his vast knowledge of tales of the Spartans in their David and Goliath campaigns. The dinner gave the alumni more opportunities to catch up and resume old friendships.Kirstenbosch’s lush gardens were the ‘surprise venue’ for breakfast on Sunday, which was enjoyed by all. The alumni decided to contribute towards a bursary for a civil engineering student in need, and raised R15 500, which was greatly appreciated by the Faculty. The success of the 40th Civil Engineering Reunion has opened the door for a 50th anniversary reunion. On Tuesday 17 June, Professor Gordon Pirie, Deputy Director of the African Centre for Cities, was the speaker at the EBE Western Cape alumni event. The title of his talk was Titans, Totems and Torts, and it focused on the lack of writing in the engineering profession. "We were amazed at the developments that have taken place in the Engineering and the Built Environment Department as described by Prof Petersen and were impressed by your new building. Please thank Prof Petersen and our tour guides. Your very enjoyable cocktail function gave us the opportunity to get to know our former fellow students again. I think that those who went on the site visit found the Berg Water Project to be an interesting scheme. "The Wild Fig venue was nice and private for our dinner. Mike Dachs served well as MC, Dave Beyer reminded us of our colleagues who are no longer with us, Tony Murray spoke, Ronnie Scheurenberg reminisced on our former days and Steve Fanner apart from being our Treasurer also spoke as did a number of others. Thank you again for bringing our class together and for our very successful reunion weekend."